By visiting http://arkcityarts.org, you are accepting the practices described in this Privacy Notice. Our http://arkcityarts.org website is maintained by the Arkansas City Area Arts Council. When you visit our website, you may provide us with personal information (such as name, address, e-mail address, telephone numbers and/or credit/debit card information) that you knowingly choose to disclose, which is collected on an individual basis for various purposes. 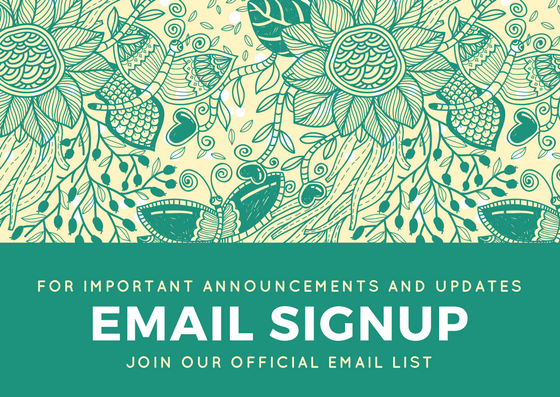 These purposes include registering to receive e-mail newsletters or other materials, requesting further information from us about projects and services, donating to us, ordering merchandise, making requests, submitting a form on our website, or simply asking a question. We receive and store any information you enter on our website or give us in any other way. We ask for personal information so that we can fulfill your request and return your message. This information is retained and used in accordance with existing laws, rules, regulations, and other policies. charity: water does not collect personal information from you unless you provide it to us. If you choose not to provide any of that information, we may not be able to fulfill your request or complete your order, but you will still be free to browse the other sections of the websites owned and administered by the Arkansas City Area Arts Council. This means that you can visit our site without telling us who you are or revealing any personally identifiable information about yourself. The Arkansas City Area Arts Council does not sell, rent, give-away or share its e-mail addresses or other information with outside sources. Should any material changes be made to the ways in which we use personally identifiable information, the Arkansas City Area Arts Council will take commercially reasonable measures to obtain e-mail consent from you. We will also post the changes to our use of personally identifiable information on our site at least 30 days prior to a change. Personally identifiable information is stored on our server and is not publicly accessible. Further, personally identifiable information is only accessed by the Arkansas City Area Arts Council personnel on an on a “need to know” basis. To prevent unauthorized access, maintain data accuracy, and ensure the correct use of information, we have put in place appropriate physical, electronic, and managerial procedures to safeguard and secure the information we collect online. Additionally, sensitive data such as credit card numbers are encrypted using SSL and other industry standard measures, to provide an additional level of security. You can send us an email by visiting our contact page. If you would like to verify the data we have received from you or to make corrections to it, you may contact us directly at the contact form link and mail addresses provided above. You will provide us with information about yourself and your organization when you register for fundraising, donations, and listservs or to buy products. This information is not used for any other purpose than to fulfill your request and is not shared with outside parties. However, visitors should be aware that information collected through the Arkansas City Area Arts Council website may be subject to examination and inspection if such information is a public record or not otherwise protected from disclosure. We may disclose personal information when required by law or in the good-faith belief that such action is necessary in order to conform to the edicts of the law or comply with legal process served on the Arkansas City Area Arts Council. If you have any questions, concerns or comments about privacy at our http://arkcityarts.org website, please send us a description of your concern by filling out our contact form.